Since we’re implementing the combat system, let’s go over the weapons, armor, and attack types. In AoD all combat skills had a passive effect which grew stronger with every point you put into the skill (i.e. Dodge’s passive ability is Counter-Attack; the higher the skill, the higher the chance to counter-attack when you dodge an attack). The problem was that all dodgers of equal skill level had the same chance to counter-attack, regardless of the weapon or stats. We added a bonus to passive chance for certain weapons to differentiate them more, but it didn’t go far enough. In The New World we move the passive affects to feats, weapons and attack stats, so if you want to have a good chance to counter-attack you’d have to pick proper feats and equip weapons with a high Reaction stat. More on that later. In AoD we had a traditional, linear progression: an iron sword replaced a bronze sword, a steel sword replaced an iron sword, etc. Same weapon model, higher damage (+1 per tier). 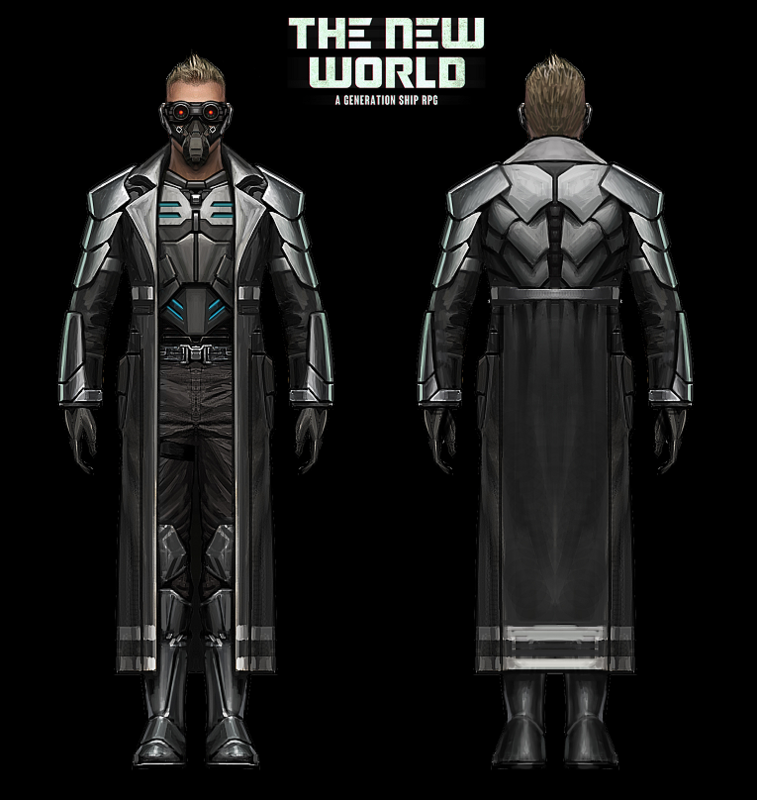 The New World has 4 tiers representing the overall quality (crude, decent, good, excellent; these are internal tags, so you’ll never see a ‘crude revolver’ in-game) with multiple weapons per tier and different stats (so you can pick whatever weapon that fits your combat style better). To give you an idea, AoD has 40 unique weapon models, The New World has 87 unique weapon models, so you will have plenty to choose from. The downside is that there’s no crafting system. It’s much easier to tell the player that he/she forged a sword that’s better balanced and properly hardened. It’s more complicated with guns as it’s unlikely that your tinkering will add +2 to damage and +1 to penetration. 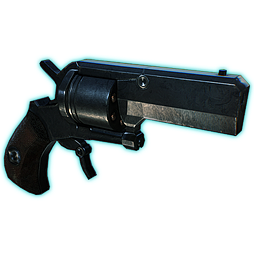 ^ tier 2 pistols: an all-purpose revolver with a good interrupt chance, a low-accuracy multi-barrel pistol for 'up close and personal' situations, long-barrel pistol for those who favor aimed shots. The higher the tier, the more modifiers a weapon has (i.e. there's a difference between a pipe pistol made by some thug and a pistol made by a proper gunsmith from machined parts). Melee combat is mainly the same as in AoD, minus block, spears, and whirlwind (too fantasy). You’ll get the already familiar Fast, Regular, and Power attacks, Aimed attacks, and special attacks like Swing, Double Strike, and Flurry. The main 3 weapon classes are Fist (brass knuckles, punch daggers, and various combat gloves), Bladed (knives and survival axes), and Blunt (maces and hammers) weapons. Blunt weapons, for example, have the highest Stagger and Knockout modifiers, whereas Bladed weapons have the highest Graze and Critical Chance modifiers. Fist weapons are the fastest and most versatile due to vastly different design. Compared to Ranged, melee weapons have higher damage (a crude machete will do more damage than a pipe pistol, 6-10 vs 5-8) to compensate for the need to close the distance and make yourself an easy target in the process. They’re also a bit faster (same attack speed but there's no reload), higher chance to score criticals, no THC penalties, but low penetration, penalties instead of bonuses for aimed attacks, and no reaction fire. Unlike melee , your effort doesn’t modify damage, so fast, regular, and aimed attacks do the same damage, which puts the focus on accuracy (i.e. the longer you aim, the higher your accuracy). Thus unlike melee Fast attack that gives you a THC bonus, ranged Snap Shot gives you a THC penalty; similarly melee Aimed attacks give you a THC penalty as they are easier to dodge, whereas ranged Aimed Attacks give you a THC bonus, so the concepts are reversed. Range is an important stat for balance purposes (shotguns do a lot of damage up close but lose their accuracy fast, rifles take longer to aim and fire than pistols but have a long range). For example, the famous Sten SMG was described as wildly inaccurate beyond 30 meters, so weapons with short effective ranges are certainly realistic. Each tier (i.e quality) increases damage, accuracy, and modifiers, representing better quality and precision, but not by far. 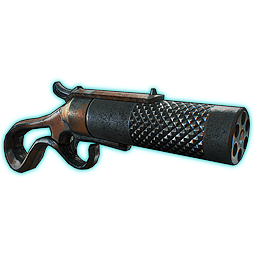 Whereas in Wasteland 2 the starting pistol does 5-8 points of damage and the endgame pistol does 100-135, in The New World a pipe pistol does the same 5-8 points of damage and the best unique pistol does 9-14 points of damage, but the overall quality increases accuracy, range, penetration, which are equally important stats. - Energy cell – its own group, doesn’t mix with the rest. The unique trait is that each cell contains 10 charges; pistols take 1 per shot, so 10 shots, rifles take 2, so 5 shots, cannons take 5, so 2 per cell but they do massive damage. Mechanics wise it’s like a burst where you fire several bullets at once. Penetration – instead of going with a vsDR value that reduces enemy’s DR by a fixed amount, we’ll go with % that would either increase or decrease the armor DR value, similar to how different arrowheads worked in AoD. 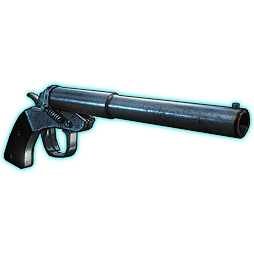 As mentioned in the past, there are 3 firearm types (pistols, rifles, and SMG) and each type has 3 subtypes. For example, rifles include one-handed guns like sawed-off shotguns and “mare’s leg” type short rifles, shotguns, and proper rifles, ranging from bolt-action to sniper rifles, so if you specialize in rifles, you won’t be stuck with the same type of weapon doing the same thing. Attack types: Snap Shot, Regular, Aimed: Head, Central Mass (torso), Arms, Legs, Bullseye (+6AP, highest bonuses if hit), Fanning for revolvers, Double Shot for multi-barrel guns, Short Burst, and Long Burst. Graze range – As mentioned previously, I wanted to implement it in AoD but we were out of time and the fast attacks were basically grazing attacks, doing a lot less damage. The ranged combat is perfect for it. Let’s say you have 80% THC (to-hit chance). You roll the dice and as luck would have it, you’re 1 point short but the binary miss-hit system doesn’t reward your near excellence and treats it as you weren’t even close. So, we’ll change that and go with 4 roll 'ranges': miss, graze, hit, critical hit (instead of rolling for critical separately). This will give us some flexibility with damage ranges and allow you to trade damage for THC. The stat/skill, feat, weapons, and attack type modifiers add up and increase the desired effect. 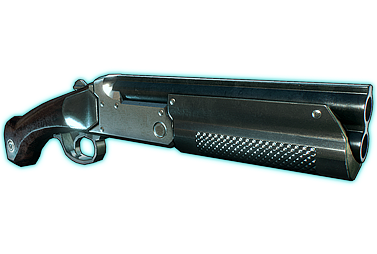 For example, if you pick up a shotgun with high graze range and use attacks that increase this range even more, you will rarely miss. Similarly, Prizefighter (feat) goes well together with brass knuckles and reinforced, tactical gloves, which in turn are better for Aimed: Head attacks than knives, greatly increasing your chance to knock ‘em out. 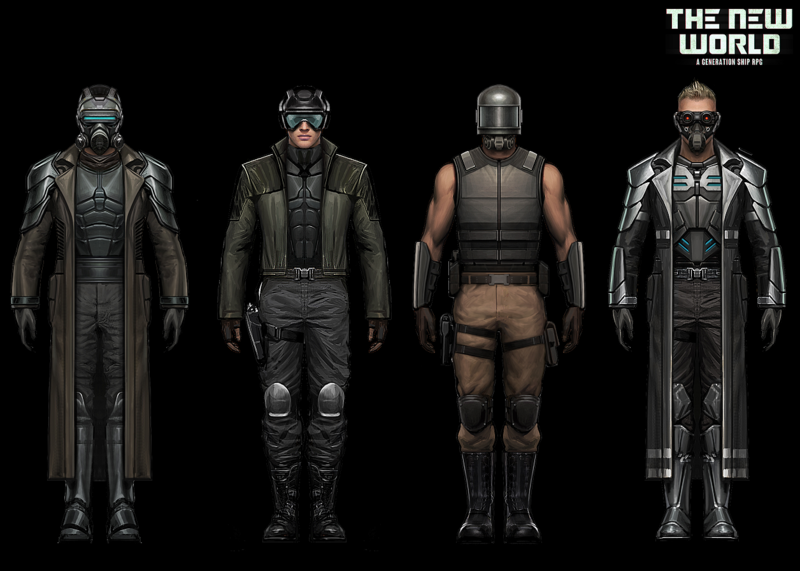 There are 4 armor slots (which brings us a step closer to a multi-piece armor for a future game): helmet, tactical vest, jacket or coat, boots & leg armor (kneecaps and such). Plus goggles and breathers. Aimed shots will target individual body parts and thus armor that protects them, general shots will have to get through vest’s and jacket’s combined DR. There are 3 damage types (which brings us a step closer to a more complex damage system in a future game): melee, projectile, energy, which means there are 3 different DR types and different upgrade materials, each with its pros and cons: metal, synthetic fiber (i.e. Kevlar), ceramic plates. A scav in full gear, a rent-a-guard, a thug with a fashionable welding mask and ballistic armor, a raider dressed for success. A fully upgraded raiders' coat with a powered pre-mutiny chest armor.